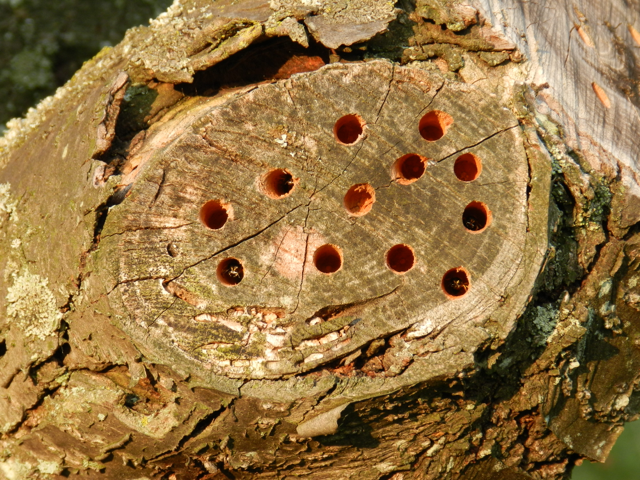 I was bored one day this past spring and to entertain myself, I drilled holes all over the tall stump of a dead plum tree. 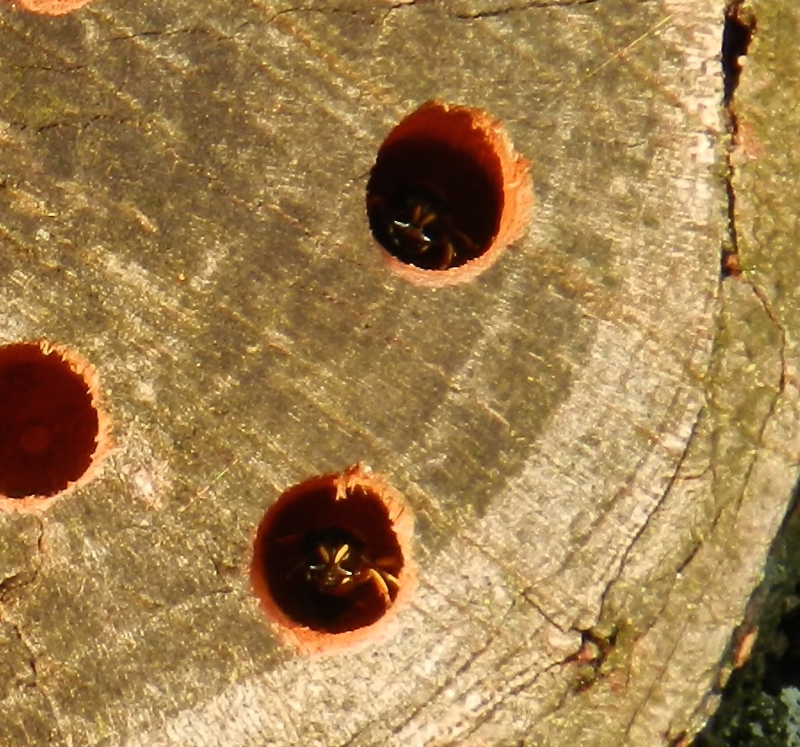 I was curious to see whether my makeshift “bee hotel” would attract solitary bees. I happened to wander by this morning and behold, inhabitants! The only holes that are occupied are on the east and south sides, which makes sense. Those are the sides that warm up fastest in the morning. I don’t think they’re bees, though. They look like wasps to me, but I’m not an entomologist. Know any entomologists?